My love of reading is something I want to share with my daughter and at now three months old she’s starting to show some interest in books. These board books were sent out by Allen and Unwin for review. Review- Living across the street from a paddock of cows, this book was perfect for our family! 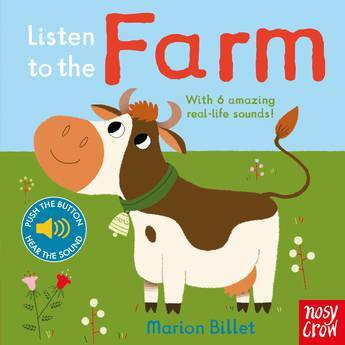 There’s a different farm animal on each page with an accompanying sound which is brought to life at the press of a button. Neroli has already started to show interest in the pictures and sounds of this book and she’s not quite three months old yet. I can’t wait until she can actually reach out and press the buttons herself! We look through this book regularly and I’m sure it’s something she can use into toddlerhood. 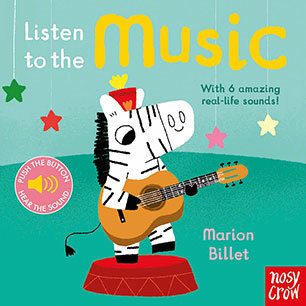 Review- Another great picture book with accompanying sounds, this time a musical theme. With Neroli starting to recognise tunes and bounce to music, this is a book that will become more and more relateable as she grows.